Now at Dorset Aqua Dogs ! 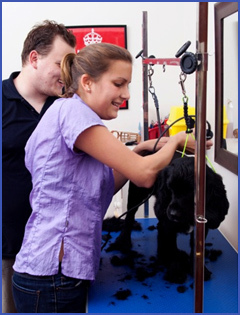 Petcare Professionals are providing dog grooming. For more information call 08451 444 555. With Doggie Cologn Ideal for a special occasion, either in between grooms or simply a treat. from £15.00 depending on size of dog. 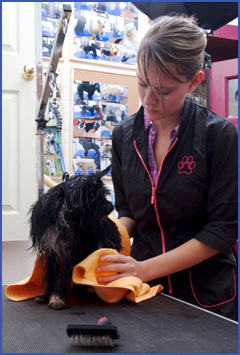 A fun groom to get your dog used to being handled and groomed, includes a bath and blow dry, nail clip and ear clean. We spend time getting your puppy used to the sounds and smells of a grooming salon and also get them used to being handled. This is very beneficial for any dog to ensure that when they are older they do not become stressed or fearful.